Here’s the complete tutorial on how you can remove or delete Google Gmail Account from any android smartphone.There would be several reasons to add a new account and to remove Google account from Android smartphone. Some time many Google Play Store errors can be removed by removing the account and re-add it. You don’t even need to factory reset your android smartphone. The solution will work on Android 2.1 Eclair, 2.2 Froyo , 2.3 Gingerbread, 3.0 Honecomb, 4.1 Jellybean, Android 4.4 Kitkat, 5.0 / 5.1 Lollipop, 6.0 Marshmallow +. Although there would be slight difference in options. There is no need of Internet or WiFi to remove the Google Account, but required when you want to Add new Gmail Account. If you add New Account It Will be automatically Added to Gmail App , Youtube and Google Play Store App. 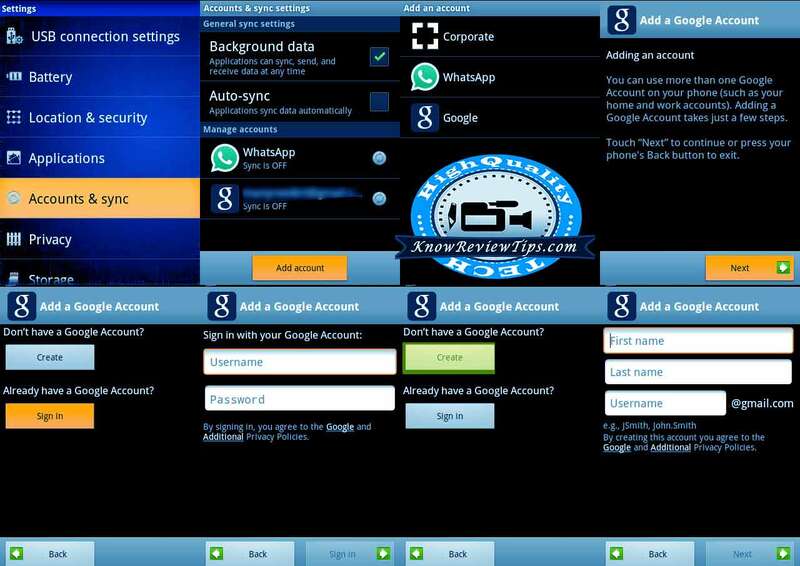 If you remove the account the account will be logged out from all the Google Apps. The method should work fine on Allview, Amoi, Archos, AT&T, BenQ, Bird, BLU, Casio, Celkon, Dell, Ericsson, Fujitsu, Siemens, Gigabyte, Haier, HTC, i-mate, Icemobile, iNQ, Karbonn, Lava, LG, Maxwest, Micromax, Mitac, Modu, MWg, Neonode, Nokia, O2, Oppo, Palm, Pantech, Philips, Posh, Qtek, Samsung, Sewon, Siemens, Sony, Spice, Tel.Me., Thuraya, Unnecto, verykool, VK, Mobile, Wiko, XCute, XOLO, Yota, ZTE, Alcatel , Amazon, Apple, Asus, Benefon, BenQ-Siemens, BlackBerry, Bosch, Cat, OBI, LETV, Elephone, Pepsi, iBerry Auxus, Acer, Alcatel, MChea, Emporia, Eten, Garmin-Asus, Gionee, HP, Huawei, i-mobile, Innostream, Jolla, Kyocera, Lenovo, Maxon, Myphone, BQ, Star mobile, Cherry Mobile, TCL, THL, Meizu, Microsoft, Mitsubishi, Motorola, NEC, NIU, Nvidia, OnePlus, Orange, Panasonic, Parla, Plum, Prestigio, Sagem, Sendo, Sharp, Sonim, Sony Ericsson, T-Mobile, Telit, Toshiba, Vertu, vivo, Vodafone, WND, Xiaomi, Yezz, YU yureka ,Chinese phones Nokia, and other android mobile phones. We hope you liked the article, do let us know if you face any difficulty while Adding ore Removing Google in Android Phone. We are Glad that you find it useful. My phone ZTE Q519T mobile phone does not have a play store app and when I downloaded and installed it,it could not open for me to sign in please what should I do? ?